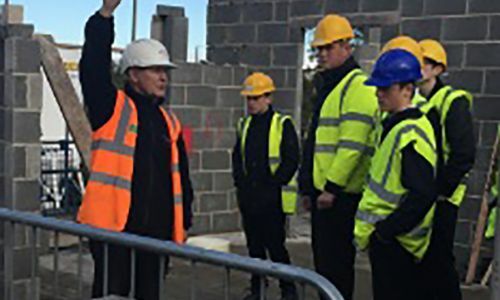 Since the official launch of Hobson & Porters’ new Foundations Scheme in October, we have been continuing our efforts in our mission to help bridge the construction skills gap in our region. Go Construct (2016) have anticipated a UK industry growth rate of 2.5% each year for the next 5 years. This equates to the creation of over 16,000 new construction jobs throughout Yorkshire & Humberside alone. As is stands, our region simply does not have the level of skills and expertise to match this, resulting in a huge skills gap. These worrying statistics are what brought our Foundations Scheme to light. Over the past few months, we have been giving groups of students guided tours around one of our live construction sites – a new build, three-storey care home at Beverley Parklands. The site posed the perfect location for these tours given its large scale and varied nature. 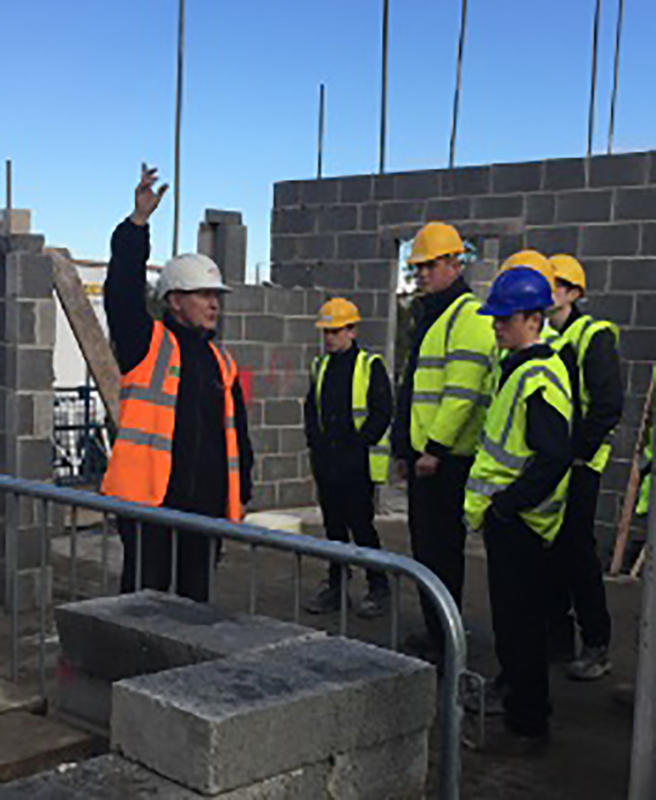 Fifteen young and enthusiastic secondary school students from Driffield High School were one of the first groups to be shown around the site. Our Site Manager’s Russell and Bernard led the tour, explaining both the scale and scope of activities throughout. The students were able to see the build first hand and learn more about all of the different trades involved. The experience was extremely valuable for these students, coming at a time in their lives when they are being encouraged to make informed decisions about their future. Another group visiting the site consisted of ten construction apprentices from Selby College. The aim here was to give them ‘a day in the life of’ experience. The group started by working through pre-construction drawings and then had a tour of the site, putting these drawings into perspective and seeing the build in more detail.